Story: "The Chronicles of Narnia: The Lion, The Witch and The Wardrobe," a spectacular live-action/CGI motion picture adaptation of C.S. Lewis' beloved literary classic. Lewis' timeless adventure follows the exploits of the four Pevensie siblings - Lucy, Edmund, Susan and Peter - in World War II England who enter the world of Narnia through a magical wardrobe while playing a game of 'hide-and-seek' in the rural country home of an elderly professor. Once there, the children discover a charming, peaceful land inhabited by talking beasts, dwarfs, fauns, centaurs and giants that has become a world cursed to eternal winter by the evil White Witch, Jadis. 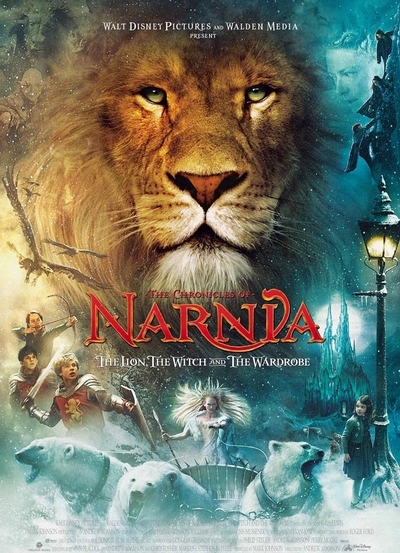 Under the guidance of a nobel and mystical ruler, the lion Aslan, the children fight to overcome the White Witch's powerful hold over Narnia in a spectacular, climactic battle that will free Narnia from Jadis' icy spell forever.